Over time Conservatory roofs suffer from a build-up of moss and algae which blocks out the natural light and can look unsightly. 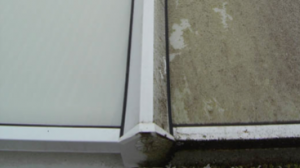 We carefully clean all types of conservatory roofs, with special care taken with opaque and non-opaque polycarbonate (plastic). We use a softer flocked brush so not to leave any scratch marks that could encourage dirt to build up again.